S. M. Wilson Supports Luke’s SkyWalkers in Cardinal Glennon’s Sun Run - S. M. Wilson & Co. S. M. Wilson Supports Luke’s SkyWalkers in Cardinal Glennon’s Sun Run - S. M. Wilson & Co. Throughout the year, Wilsonites spend their time supporting causes and non-profit organizations they are passionate about. Beyond the Build, S. M. Wilson encourages employees to be involved in our community and the communities we work in around the country. 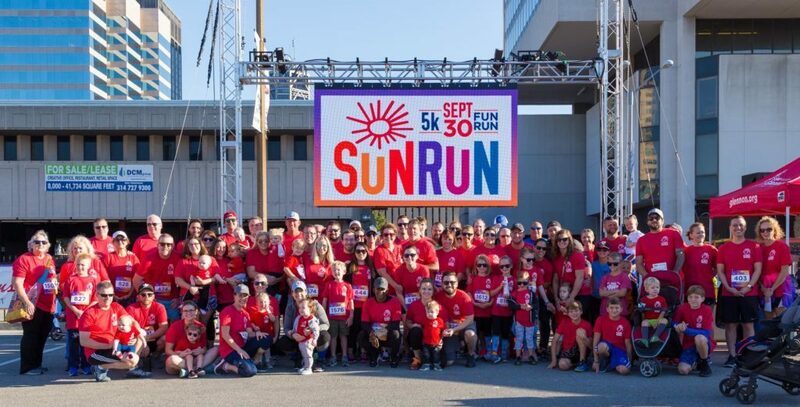 On September 30, S. M. Wilson sponsored 16 runners on the Luke’s SkyWalkers team at the Second Annual Cardinal Glennon Sun Run 5K and 1-mile fun run. 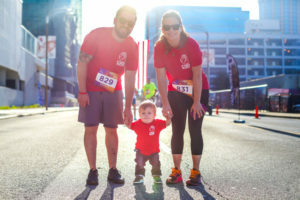 The team was led by 1-year-old Luke Newbern, heart warrior and Cardinal Glennon graduate and his mom, Kristyn Newbern, S. M. Wilson’s Business Development Manager. After hearing Luke’s story, Wilsonites and their families quickly came together by joining the team or donating over and above the S. M. Wilson contribution. Giving is contagious, and by race day the Luke’s SkyWalkers team raised over $8,800 with more than 100 runners with all proceeds benefiting the Children’s Fund at SSM Health Cardinal Glennon. On the day of the race, Luke’s SkyWalkers team was the highest ranking fundraising team with $8,853 raised.